On the other hand, using wheelchairs can also pose a risk to a person’s safety when the device is not properly cared for. 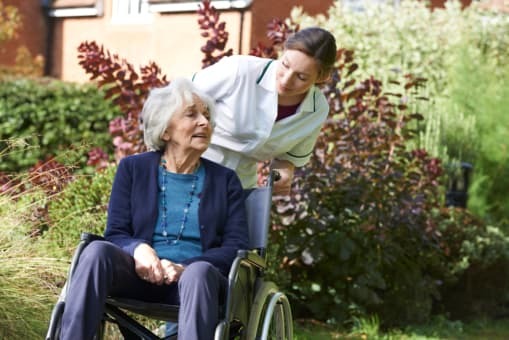 Our team, as providers of Home Health Care in Vancouver, BC, recognizes that mobility devices and their users have to be given sufficient care and attention so both can benefit more from each other. Hence, we would like to share these tips for wheelchair users and their caregivers so that safety can be put in priority while these mobility devices are being used. These wheels can get loosened or have a flat tire, which can keep the wheelchair from moving properly. When this happens, the brake mechanism can also be affected, which can eventually reduce the device’s functionality. Ensure that the seat is always cleared from any obstructions. When your loved one is not comfortable in their wheelchair, they might move in their seat while you’re pushing them. This can shift the weight forward and lead to undesirable incidents. Wheelchair brakes can also get loosened, which is not good when you need to keep the device steady as you help your loved one stand up or sit down. Ensure that these brakes can be locked in place so that you can rely on their steadiness in the needed time. Just like you can’t overload any vehicle, you should also not put more load on the wheelchair, especially one that can tip the wheelchair forward, backward, or sideways. Keep extra items in your own bag. You can also ask a professional provider of Senior Home Care in Vancouver to help you out. You know how little ones can be a really curious lot. They may end up seeing the wheelchair as a toy and play with it. You would not want to risk the overall functionality of your mobility device. To secure your loved one’s wheelchair, just keep children away from the device. Since there are many people who can get to hold the wheelchair, it’s important that you implement the practice of sanitation. Sanitize the seat, armrests, and other parts to protect your loved one’s health. Let us be your partners in preserving your aging loved one’s safety and security at home. Our team at Peachtacular Home Health Care is ready to assist you and provide Home Care Services in Vancouver, which your loved one deserves. Why don’t you tag that friend who always puts your safety at the top of their mind? This entry was posted in Home Health Care and tagged Caregivers, Mobility Assistance, Senior Care. Bookmark the permalink.